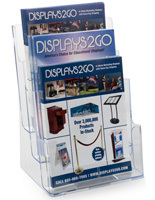 This Magazine Rack is a Counter Top Brochure Holder! 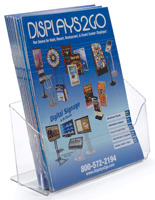 Buy a Clear Acrylic Magazine Rack Today! 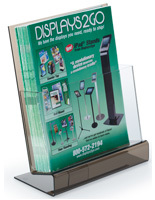 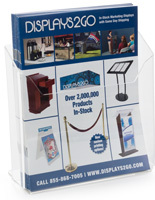 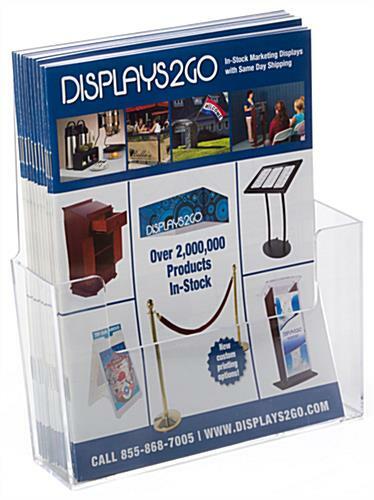 This inexpensive magazine rack is great as a desktop display, countertop display, literature display, magazine holder, or a magazine display. 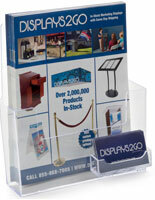 The display has a support frame attached to the back to increase stability on countertops. 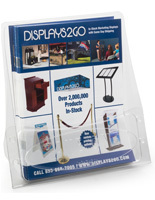 This is clear molded plastic (not acrylic) and therefore should be ordered for price point reasons only! 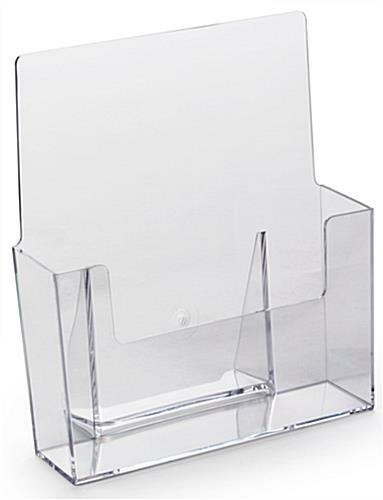 This unit has a low cut-out front, and should not be used with single sheets of paper that may be proned to "flopping". 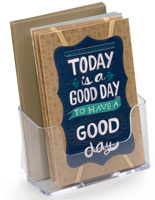 9.3" x 9.5" x 3.3"